British Seagull® Outboard "Seagull" Label as featured on the silver recoil starter flywheel cover casing. This label is used in conjunction with the Seagull "1-6" labels for identification. 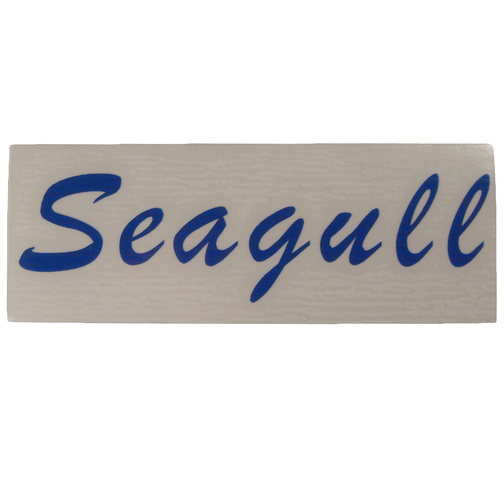 British Seagull® Outboard "Seagull" Label as featured on the silver recoil starter flywheel cover casing. This label is used in conjunction with the British Seagull Outboard "1 to 6" Label for identification.